A SOLICITOR-sponsored youth football club has fought off stiff competition to win the South Suffolk Youth League for their age group. 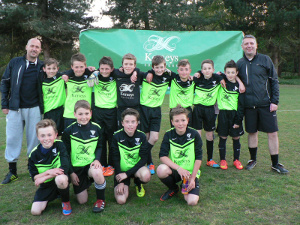 Martlesham Youth Football Club (MYFC) Lightnings Under 11s, who have been supported by Kerseys Solicitors, won 14 of their 18 league matches. The team played the final match at their home ground at Martlesham Police headquarters against Scole Lads on Thursday with an entertaining 0-0 draw. Kerseys, which has its HQ in Ipswich and an appointment office in Colchester, provided the new kits for the youngsters after they grew out of their old ones. Manager Steve Whelan said: “We are delighted to have won the South Suffolk Youth League Under 11’s top division. It’s a great accomplishment and all the team’s hard work has paid off. Justin Boyd, who is the Accounts Manager at Kerseys and has two sons who play for Martlesham, added: “The boys have had a great season and I’m really proud of the team. The coaches have done a great job in steering them to the success they deserve. The team are set to wear their kits again next season before passing it down to the younger MYFC teams. Justin’s son, Owen, plays for the Under 11s team and his other son, Jack for the Under 10s. 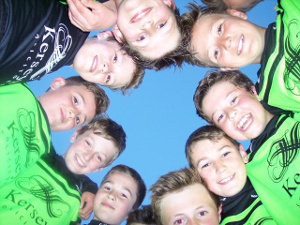 During the season, MYFC Lightnings Under 11s scored a total of 121 goals, whilst only conceding 25.